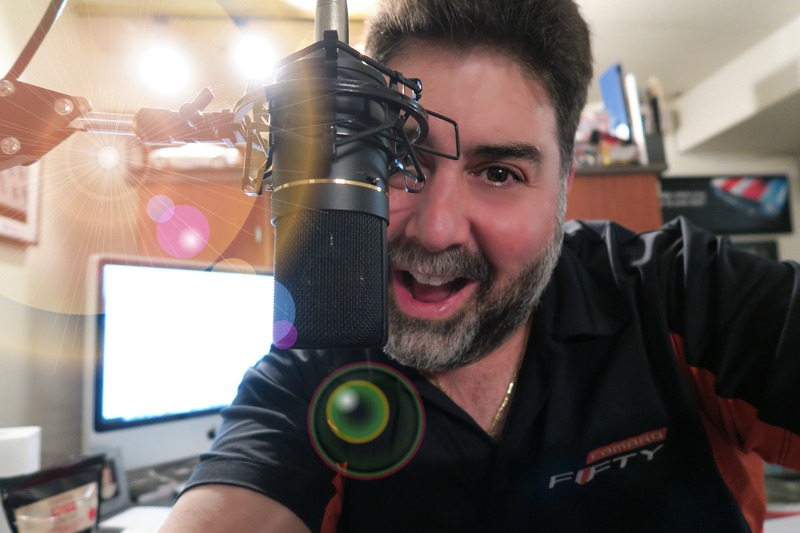 I’ve been asked a lot lately how I got into live streaming and how I became so popular on the Live.Me Live Streaming App.Â Here is my story on how I fell in love with video and live streaming from the 1990’s to present. I have always been interested in video.Â I bought my first camcorder (remember those?) back in 1989, the same year I graduated high school.Â I enjoyed making lots of home videos with it!Â I always had it in tow with me when heading over to a friend’sÂ house.Â We recorded our adventures, cars, family, and pets.Â I still have a bunch of those VHS tapes packed away somewhere. When video capture cards became availableÂ for PCs in the 90s, my dad and I got one and started playing with digital video.Â I also helped run a BBS (bulletin board system) at this time and started creating short video clips and also GIFs of people from the videos I would take to share online. As our BBS grew, we turned into full-service ISP (internet service provider) proving dial-up Internet services as well as web hosting.Â Millennials will never know the pain of a busy signalÂ trying to dialin to a 28.8 baud line on a SLIP or PPP connection, and I don’t miss those days either. I remember sitting in our office one day on our brand spanking new 56k-dedicated connection to our ISP and discovering CU-SeeMe. This was like some way cool futuristic program that allowed you to video conference with strangers you never met.Â I had to participate in this!Â I went to CompUSA and bought a Connectix QuickCam for the office and attached it to our Packard Bell PC running Windows 95.Â I was iive streaming for the very first time! Before we had mobile live streaming and Facebook back in the flip phone days, we had photo/video sharing sites.Â Not exactly live streaming, but this is where I started falling in love with social media sharing.Â Moblog, or mobile blog, was where it was at!Â There used to be a website called Textamerica and it allowed you to email your picture to the site and it would automatically post to your profile.Â There was social interaction, E.P.’s (editor’s picks), and lots of friends to be made — all through sharing pictures and videos. This was so much fun to use and share with others.Â The Internet Archive is where you can see the old site. Let’s fast forward now to a few years ago.Â After running a successful websiteÂ (the very first automotive threaded message board at CamaroZ28.COM), a successful podcast (The CamaroZ28.COM Podcast turned The Camaro Show Podcast), I started tinkering with live streaming again.Â Now that everyone seems to have a mobile device on them at all time, IÂ started looking at Live Streaming apps for my iPhone and iPad.Â I started seeing reviews for an app called Meerkat.Â Implementing a Meerkat stream while podcasting our weekly show was easy and some of our listeners loved it.Â Then Periscope happened.Â Twitter acquired Periscope and integrated it into their services, which pretty much killed Meerkat.Â We switched over to Periscope and played with that for our podcasts until my broadcasting partner moved to another state. Aside from creating a popular YouTube Channel (that’s a whole other story), live streaming has always been fascinating and fun for me.Â With an iPhone in your hand, blazing fast LTE cellular Internet or Wifi, the world is your live streaming broadcasting studio. I started dabbling with a live streaming service called YouNowÂ after YouTuber LABeast started live streaming there.Â This was at the time when our Bring Back Crystal Pepsi campaign finally came to fruition (yet another story).Â I played with the live streaming service from my iMac as well as my iPhone for about 6 months and never got a good vibe from this platform.Â My main goal for live streaming was to help my YouTube channel grow and network with other creators.Â I did meet a few very cool people on this platform, but the site really wasn’t for me and I eventually stopped live streaming from that site altogether. It was May 2016.Â I was watching a YouTube video from the EZ Life and saw them talk about Live.Me. I decided at that point to download it and see what it was all about.Â It wasn’t until June 2016 until I really started playing with it.Â I instantly felt a super cool vibe about this app!Â It was extremely easy to use, very intuitive, and you could receive virtual gifts that you could exchange for real money.Â Hey, bonus! I started live streaming on Live.Me to help drive some more views and subs to our YouTube channel.Â What happened was pretty amazing.Â In just a few month’s time, I far surpassed the 7,000+ subscribers we had on YouTube and exploded on Live.Me.Â We did our first featured show in September of 2016, and it was a huge success.Â It was called the 100 Chicken McNugget Challenge. We recorded it on YouTube as well and people still remember it to this day. A few months later, Live.Me reached out to me and offered me a weekly timeslot to do a featured show.Â We had Sundays at 12 pm PST / 3 pm EST for over 6 months! We did fun shows ranging from eating hot and spicy treats and sour challenges to playing games with our audience.Â We participated in the Squash The HateÂ anti-bullying campaign which raised money. I live streamed the Woodward Dream Cruise in August of this year from the passenger seat of a 2017 Camaro SS 50th Anniversary car. This is the largest car cruise in the world and attracts over 1.5 million people in the Detroit area.Â I was even asked to teach people how to live stream by Live.Me, which was a huge compliment. I continue to live stream everyday.Â In fact, I haven’t missed a single day since the end of June 2016 when I started to really take live streaming seriously.Â A lot of my followers ask me how do you get so “famous”?Â I don’t like that the word “famous”.Â “Famous” is when you can’t seem to go out in public without people recognizing you all the time.Â I would consider myself to be somewhat popular on the app.Â Consistency and content are key.Â I am constantly learning as well.Â I’m not always 100% ON all the time.Â That means I’m not always in show mode, or doing a particular show.Â I’m always evolving.Â My followers always tell me “you’re so nice”, “you’re so easy going”, “I wish you were my dad”.Â I think my age and wisdom, not only in life but from being actively involved with live video content since its infancy, is where I draw inspiration from. People want to be acknowledged and noticed, and I make sure I do that.